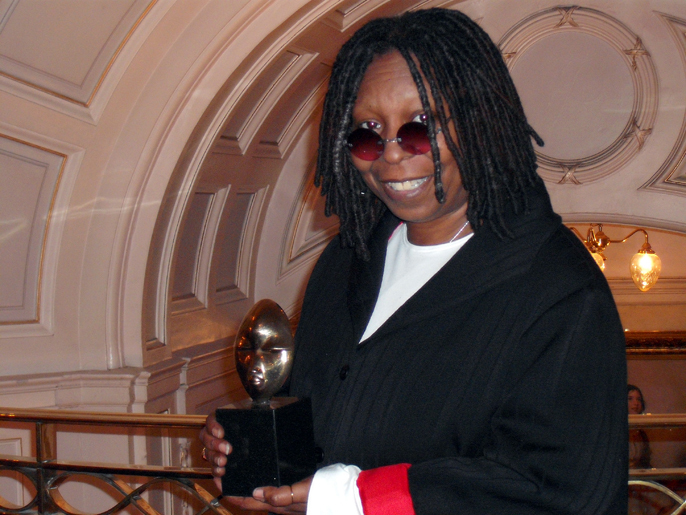 ATN editor/founder Sophia Jackson presented Hollywood legend, Whoopi Goldberg with the 2008 Screen Nation award for Outstanding Contribution to Film and Television at the London Palladium. As you can see the award was well received. Previous winners of this prestigious award include Danny Glover. Goldberg was in London promoting Sister Act, The Musical as she is the producer of the show which opens in May 2009. The interview will be posted on Afridiziak Theatre News.